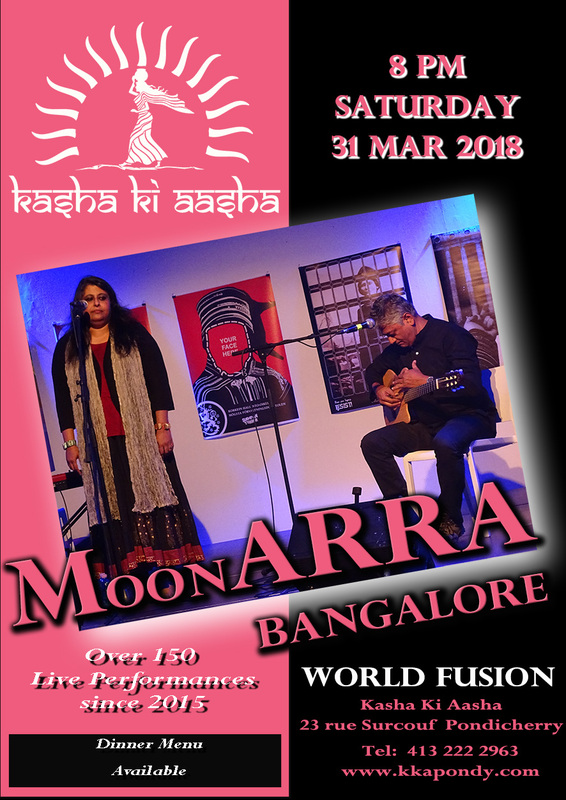 For an evening to remember , join us at Kasha Ki Aasha this Saturday evening at 8 for special jazz music by World renowned guitarist Jagadeesh and vocalist Madhuri Jagadeesh from Bangalore. Jagadeesh has performed in International Jazz Festivals and concert tours in Morocco, Austria, Hungary, Poland, Indonesia, Malaysia and Thailand. Madhuri has found a niche in world music and is constantly looking to expand the scope and possibilities of this genre with new influences and sounds around the world as she travels. You will not want to miss this couple’s amazing performance in the beautiful terrace garden . Call us at 0433 2222963 for reservation or direction. Kasha Ki Aasha is located at 23, Surcouf Street, Pondicherry.